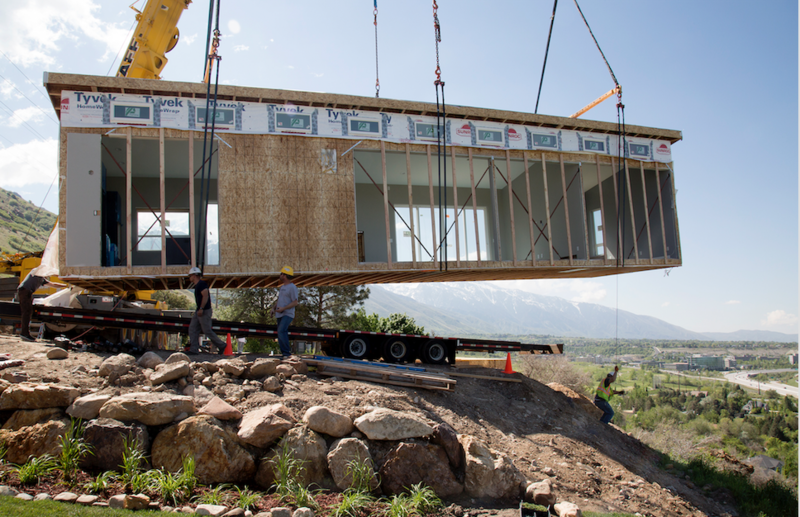 Building modular homes is an exciting business, especially when you get to see views from Lehi all the way to Salt Lake City. 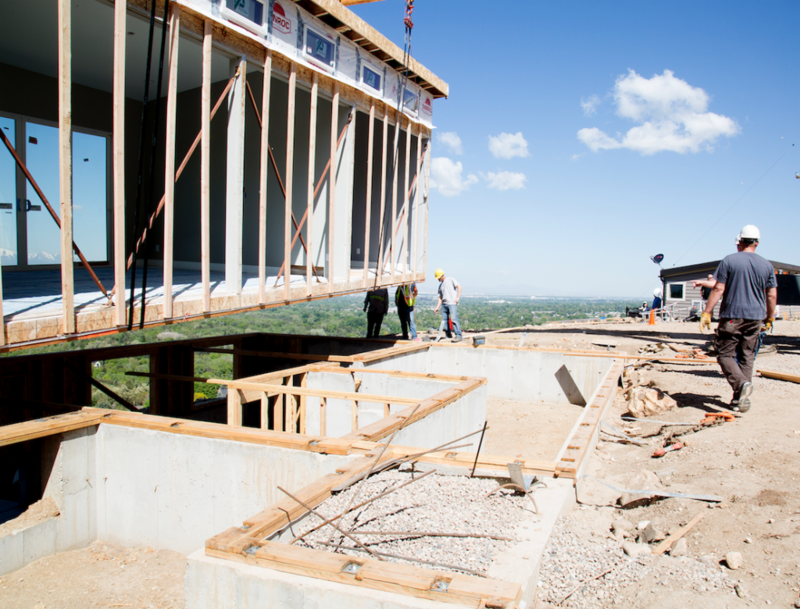 Last week we got to put in a modular home in Cottonwood Heights, looking over uninterrupted views for miles and miles. The home is located on the side of a road on the way to Cottonwood Canyon without any possibility of backyard neighbors. 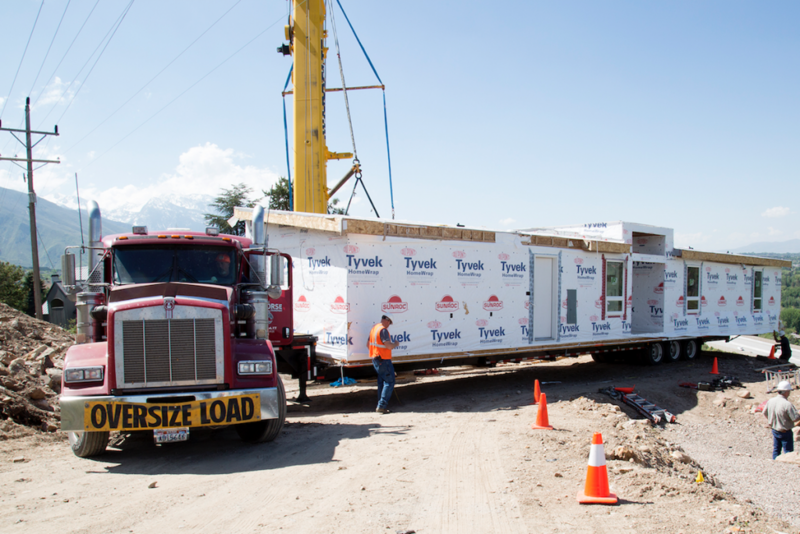 This home came in two pieces, lifted and put into place by a massive crane. By basically dropping the home off, rather than building on the site, we did not have to close down the only road access by the house or interrupt bikers’ pleasant rides for very long. 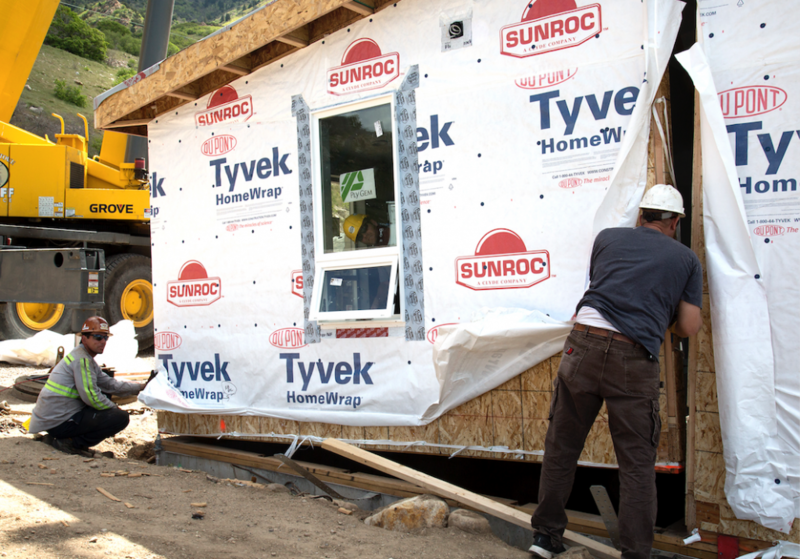 The home was placed on top of an already dugout basement, to make it a two-story home. We cannot wait to show you all the finished product! For now, here are some pictures of the move. Swinging over the side of the hill. Those windows will make for a great view. Bringing in the 2nd piece! Closing the gaps between the walls. Every centimeter counts.